This stuff works like magic! Stretch Press’n Seal over any cup to make it a little more kid friendly. 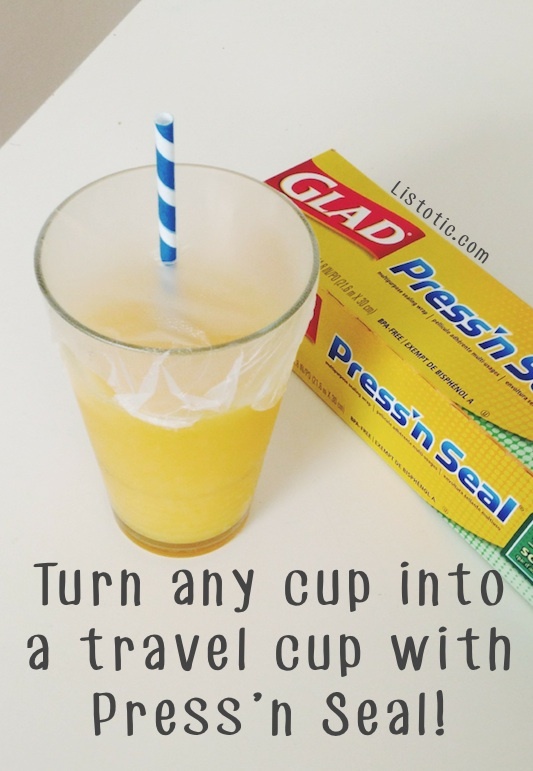 Poke a straw through the middle and you’ve got your very own homemade travel cup. This tip will come in handy this summer! Watermelon is my go-to fruit, especially when I’m craving something sweet. It’s hard to believe this stuff is good for you. 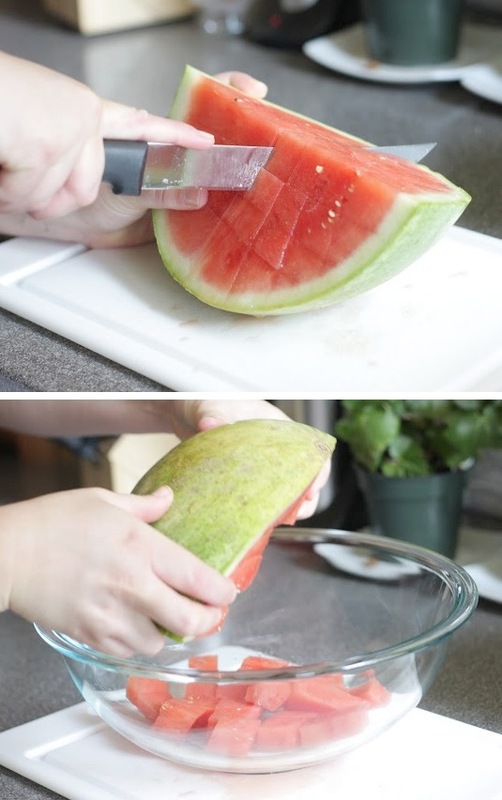 I like to cut it up into small pieces and store it in a large tupperware bowl so it’s easy to grab and eat. I’ve found this cutting technique to be the easiest and fastest way to get the perfect little bite-size pieces. If you have kids, you know how handy this simple tip can be. I have two kids that I have to cut pancakes for (and then my own) — this makes it so much faster and easier! 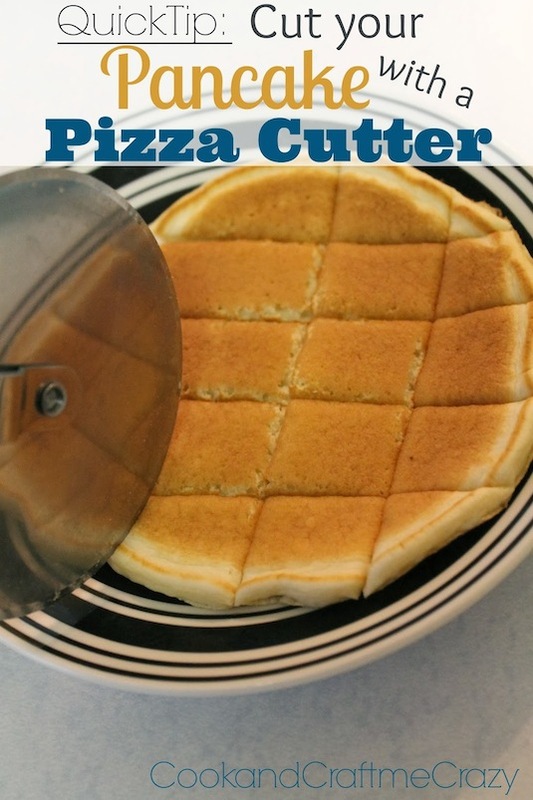 It works with a stack of pancakes, waffles and spaghetti noodles, too.